This is a guest post by Laura Copas and Steve Sewell at Change Troops. At Change Troops we’ve noticed projects, programmes and change initiatives becoming increasingly complex, and the biggest threat to their success is methodologies. Methodologies are everywhere. They bring with them the enticing promise of an easy way to make organisational or personal change, if only you follow the prescribed route. Methodologies are the WMDs (Weapons of Mass Delusion) of our industry, enticing people into believing that change has a ‘Silver Bullet’, a secret that unlocks some magic. 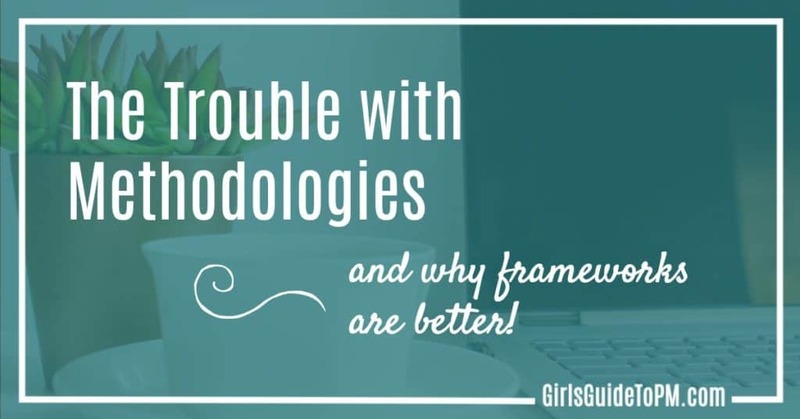 So, what are methodologies? They are like recipes, specific ingredients added together and cooked in a particular way using a range of tools and techniques. At work, the methodology you use to manage a project is the set of prescribed processes, documents, tools, techniques, templates, steps and so on that your company mandates is the way to run a project. However, cooking utensils and ingredients rarely have a view on how recipes should be done! As soon as the chef gets into the kitchen – even a very experienced chef – the human factor begins to change things. Humans have the ability to impact on the success of any initiative. Think about what happens to a soufflé if different people try to cook one using the same instructions! The soufflé problem happens in exactly the same way on projects. When people get involved, stuff happens in a more unpredictable way. Views and perspectives are important in anything involving people. And projects involve people. It’s people who do the tasks and make the decisions. Their skills, capabilities, likes, dislikes, habits, behaviours and many more factors all have the ability to change the direction or outcome of a project. In our projects, programmes and change initiatives, the really ‘hard to do things’ are changing habits, behaviours and culture. We know from collective experience that this is complex and needs energy and resilience to achieve. So if a methodology isn’t the best way to get the behavioural or cultural change you want to see, what would be better? Frameworks are the best approach for steering your way through the complexities that ensue. So what are frameworks? A framework is a structure underlying a system, concept or text. We would go further, suggesting that for projects and change initiatives that these structures are underpinned by principles. A framework as a structure doesn’t describe the specific activities that you do, rather it frames specific activities and is built on key principles. Imagine if you were asked to take on the complex task of winning a sporting trophy (say the next World Cup!). This is an activity with a wide range of human factors. Could a methodology work? Does Gareth Southgate, the current England men’s football team manager at the time of writing, have a recipe that drives his success? The evidence suggests that he has a framework, a structure that helps prepare and train for matches, the formations that the players use on the pitch, all based on a set of principles. These frameworks are adapted over time, driven by learning and evaluation. The specific activities change depending upon the capabilities, context and task at hand. There is a huge difference between the how the players will play against, say Brazil and Finland, but the preparation and training framework will be the same. It is the same for change initiatives. The variation in activities is similar when presented with different challenges. For instance, a new head office building will have different challenges to a project that aims to integrate technologies across multiple organisations. Even if you are a project manager involved with the construction of the Head Office building, which, at face value may seem simple and lacking in the kind of complexity we are talking about. However, even this project would have its fair share of human factors impact on things like purpose, funding, design, problem solving during construction and deciding whose office has the biggest window with a view. It is our strong belief at @changetroops, developed after many years of experience and research, that ‘How Change Happens, Matters’. Change is hard. Working with the values, habits and behaviours of people needs careful thought, resilience and full attention. Often this ends up looking like people being puzzled about by why their method isn’t working and why won’t everyone just listen. Frameworks are the answer. They provide structure whilst allowing flexibility depending on the emerging situation, and the challenges and opportunities that present themselves. Frameworks provide a structure for a project. Within that structure, you can choose what is most appropriate, without having to slavishly follow the methodology because the company handbook says you have to. Don’t need to do deep stakeholder analysis? Then don’t do it. Feel like a detailed plan isn’t appropriate at this stage or for this type of project? Don’t write one. Want to ditch the configuration management log in favour of spending more time running focus groups with affected stakeholders? Do what needs to be done. 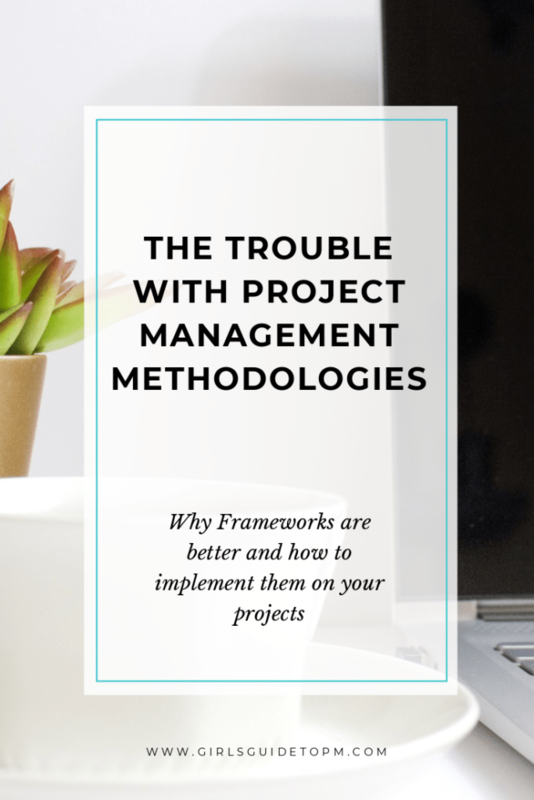 The challenge with frameworks is that you need professional judgement to be able to know what to pick and choose from within it to deliver the outcomes required for this particular project. Less experienced project managers may need some support in this area. In all projects and programme it’s the outcomes that determine success. The route to achieving these is therefore critical, as is the approach you use. Do you and your organisation a favour, find a suitable framework and stop seeking out the ‘Silver Bullets’ of methodologies that can’t deliver the flexibility you need for success. About Change Troops: Project and Change Management is changing. Change Troops want to be at the heart of the conversation, drawing on evidence and experience. It is a non-commercial brand that is connecting with people who are exploring and spreading the word about how it’s changing and taking an active part in the discussion. Behind the brand there are two experienced programme and change practitioners with over 30 years’ experience between them, Laura Copas and Steve Sewell. Having worked together in really complex programme environments for much of the past few years, they have developed clear principles and an adaptive framework built on experience and evidence. These guide their work, although it adapts constantly. Both have strong track records of delivering sustainable changes in complex, often multi organisation, environments. They also run a Training, Mentoring and Advice Consultancy, Get Real Change supporting project and change practitioners and organisations with complex change programmes. It is no wonder people are confused when looking at the two there is clearly a distinct difference. Even more confusion arises from people trying to work in agile way without missing key important pieces. on projects only useful for the mature and experienced organisations in project management.